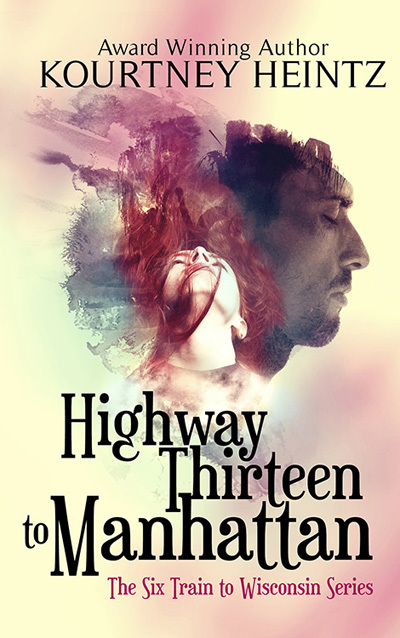 I’m trying to think of creative ways to spread the word about TGWIG’s reviews and also remind people to preorder it on Amazon, so I have a chance at hitting the Amazon bestseller list on my release day. 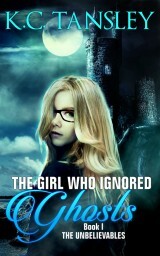 I’ve seen other authors use a cool photo with a short blurb and the title and release date. I’m not graphic design great or terribly tech savvy, but I’m good at tinkering and figuring things out. I remembered reading about sites where I could do this a while back. I’ve almost exhausted my budget for graphic design work, so I thought, hmmm, maybe this is something I can take on. I googled it. Pic Monkey came up. That name rang a bell from an article I’d read. I have to use my own photos, but luckily I have 70k photos on my external hard drive that I took over the years. The challenge was finding an image that went with the blurb. Then playing with it until it was really cool looking. Pic Monkey is free and has some really amazing things it can do to a photo. My first attempt was awful. It took over an hour and it was hideous. But it wasn’t time wasted because I was learning how to use Pic Monkey. That was a cool mausoleum door in the Sleepy Hollow Cemetery in NY. Since my story is a YA time travel murder mystery I loved the hour glass image. This was a really cool combo of work and play. I love photography and I’ve never played with the effects before and I got to create these promo pics for the book. I’m also hard at work on the sequel to TGWIG. I’m laying down the first draft this summer. I drafted 100 pages in 10 days which is my most ambitious drafting schedule to date. Writing 10 pages a day while promoting and having a part time job was definitely a challenge. I do see the pros of writing fast though. I don’t have time to dawdle or be uncertain. It’s gotta happen. And things get said a few times because I’m not sure where exactly they work best, but the bones are getting laid down and eventually re-arranged properly. I’m doing a 3 day edit and then Tuesday I’m on to drafting the dreaded middle. I think I should be able to knock that out before ReaderCon. Please remember to get your entries in to the Tell Me Your Ghost Story Contest. There are only 3.5 weeks left until the contest closes to entries! Between–Netflix does it again! It recommends stuff and I usually love it. Between is this sci-fi thriller about a town under quarantine because everyone over 22 suddenly starts dying. Within a month there is no one over 22 left. It’s a really fascinating study of character because how people behave in these kinds of situations is really revealing. After 5 episodes I’m addicted. And I have to wait for episode 6. 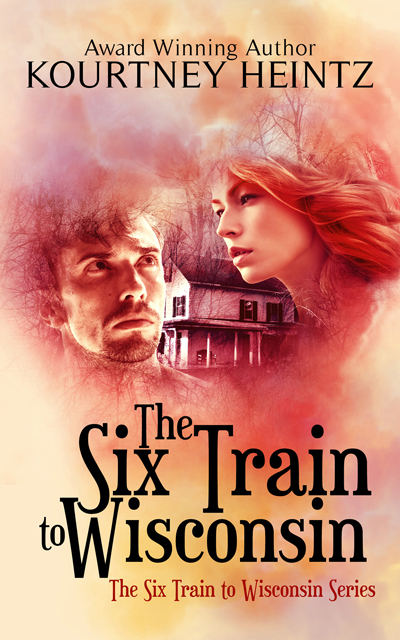 I have two audible.com free audiobook codes left if anyone (either US or UK Audible.com) is willing to trade an honest review for a free copy of The Six Train to Wisconsin’s audiobook. Just comment below with your email and make sure to say you want to trade an honest review for an audiobook, then I will send you the free audiobook. This will go to the first two commenters who do this. What have you been up to for work and play? This entry was posted in audiobook, marketing a book, Personal and tagged Between Netflix Series, free audiobook, photography fun, Pic Monkey, Preorders, The GIrl Who Ignored Ghosts sequel, work and play. Bookmark the permalink. Thanks so much for the info on Pic Monkey. I’ll definitely bookmark it for future reference. Great to hear you’re getting so much writing done! Thanks. It’s my favorite so far. 🙂 Oh what a cool use. Yes. Once you get the hang of all the options, it’s amazing what you can do! Love that pic you worked on, Kourtney. Looks great. So is it picmonkey.com? I could use that if I ever get a chance to write and try shop my novel again (after this big move). Is that series Between a Netflix original? Would you believe I’m just now watching Mad Men? I’ve been watching a few in a row each weekend. Don’t give me any spoilers … only on the 2nd season. I’m fascinated by the human behavior, and I’m even drafting a blog post for the future regarding it. Not to mention, I have a novel started that takes place in that same time period. Good luck with the promotion for TGWIG. Thanks. Yes picmonkey.com. It creates really cool pics. And it’s free. Just remember to save the pic before you close the webpage or you lose your work. Yup. I’m a Netflix junkie. I’ve never watched Mad Men. I tend to read and watch in my genres. If there is no fantasy, I usually don’t get into it. Very cool to see how the dynamics work. Between has a bit of a Lord of the Flies feel to it. I understand watching in your genre, Kourtney. I started watching Mad Men because everyone talked about it so much, not even knowing it was right down my genre alley. That’s why I’m drafting a blog post about it. The show is about relationship issues and what we bring with us from childhood. That is what I write. I’m loving it so far. I thought I was writing fast lately…100 pages in 10 tens is awesome. I love to write fast. For me, it makes it easier during the rewrites. I don’t mind cutting something that didn’t take days and days to write. Good luck! WIshing you well in all you do.. and I missed the Ghost story link, will go check it out now.. Thanks Sue! They were really fun to make and it was neat to have something I could use for work too. 🙂 I hope so. I’m getting nervous about sales. I want this book to do well. I’ve put everything I have into it. It really is fun to play with photos and it’s free. Thank you. Hope you have a wonderful week! Well stop getting nervous and putting any nervous energy out there.. THINK Positive.. Its already a BEST SELLER.. Why wouldn’t it be.. 🙂 You too enjoy your week..
That’s lovely. I’ve been helping my aunt and uncle with the pool and taking the dogs out. That’s been my outside time lately. 🙂 Getting in my workouts helps. I tried to use Pic Monkey but didn’t do as well as you did. I like your results. The Netflix show sounds like something I’d enjoy. Thanks for the idea. Thanks! I love taking pictures. It’s one of my few remaining hobbies. I’m getting better at fonts and colors with the images. The effects are so cool. Can look like a totally different photo. Indeed. And it’s neat because I get to pretend I’m a graphic designer for a moment. 😉 Aw thank you so much! I really appreciate it. You writers are such clever inventive people… not only with words! And did I mention hardworking. LOL. I am always trying to think of new ways to reach people. I read about Pic Monkey a while back. I just hate having to learn something new. Until I do and then I love it. 😉 Aw thank you. 🙂 Hugs! I saw your FB post on your experimentation with Pic Monkey. I’m going to have a look and do some messing around just for fun. I love goofing around with techy stuff. There’s definitely something to be said for writing fast. You don’t have time to overthink things and getting the story down is priority one. Last summer I wrote on average 1,000 words a day, which for me is fast. 10 pages a day is impressive. Hope it’s still going well. My goal is to have your MS back to you by the end of July. We leave for vacation on 7/24 and I’d like to have it done by then. I left off yesterday on p. 200, so I’m right at the 40% mark. It’s really fun to play with the photos especially since it creates a free promo item for me. There’s so much you can do to a photo there. And it’s free. I usually don’t. I used to be a 500 word a day part time writer. I graduated to 1000 words a day, then 1500. 2k is tough. But it forces me to think things out fast and not get stuck on stuff. And if I do I just make a note to research this or figure that out later. I’m at p. 116 right now. It’s the top thing on each day’s priority list. I really want to get it down so I have some time to tinker with the entire draft. I’ve been playing around with Canva. I didn’t know about PicMonkey. I think they must be similar sites though. I looked into hiring a graphic designer for marketing on social media (website, newsletter, FB banner, etc. ), but I can’t afford a pro right now. I hate to deny a GD a possible job, but if I can do it myself then I’d rather spend my $$ in other ways — like writing conferences and supplies and babysitters (so I can have more writing time). I haven’t heard of that. I think I read about PicMonkey in Writer’s Digest a while back. I think it depends on the pro. I’ve made friends with graphic designers and they do freelance stuff for me. We go project by project. Most of their work is in the $50-100 range. To me, it’s worth it for something that is part of my brand. There are things I don’t want to try to tackle. These photo things are easy. Doing a skyscraper ad or a horizontal ad is just too hard for me. There are always tradeoffs, right? 🙂 I’m doing a lot less travel this year and putting more into my online marketing, so a few hundred dollars to get good quality ads and visuals makes sense for me. Exactly. When you can find a GD that’s the right fit, who totally gets your brand, then the $$ is absolutely worth it! Thanks, Aquileana. I’m always pushing my limits to do more faster. This was my biggest challenge yet. I’ve never tried to draft this fast before. I’m already at 130 now. Aw thank you. I didn’t know about those! Thanks! I’ll definitely check them out. You always have very cool images on your site.